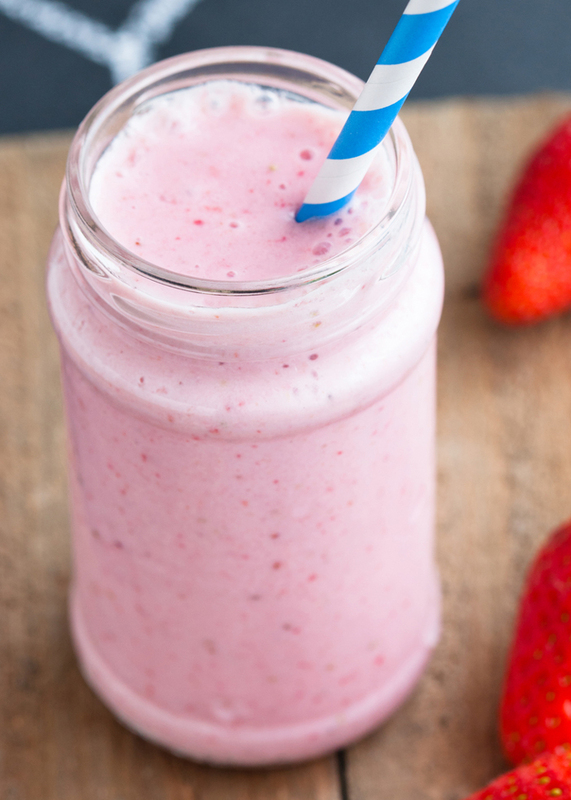 My son is crazy over this strawberry smoothie recipe. It is SO good. I’ve made smoothies for my kids plenty of times but can never get them to drink it. Finally, one day we stopped at a drive through coffee place and I ordered a strawberry smoothie because there wasn’t much else on the menu I could offer them. I was hesitant, expecting them to have just wasted my $4 but they both drank every last drop. I decided I had to try and replicate it somehow and this is what I came up with. It’s a hit! I wanted to sneak in a little extra goodness, and since chia seeds are so tiny I thought I could get away with adding a little to this smoothie. I was right – no one noticed a few little seeds. 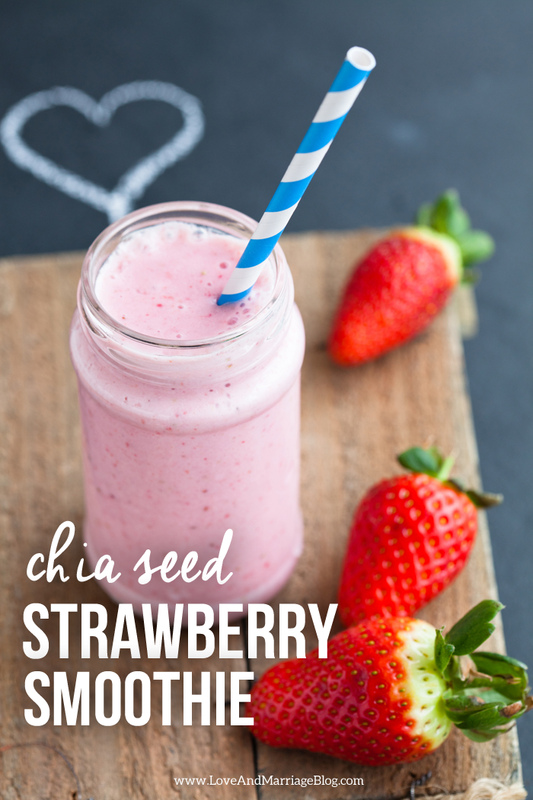 Here are a few other smoothie recipes with chia seeds.